Template installation price applies only on fresh (not live store) software installed. All the default functionality is active and untouched for our Zen Cart themes. Only one setting parameter is disabled for our Zen Cart responsive themes in the admin area (column width) due to the fact the responsive feature requires a special layout, so we created a new layout that is based on "div" HTML tag, not the "table". Columns width is defined automatically when you change 3 or 2 column layout in the admin area. The feature allows to get the template settings the same as on the demo site by one click in the admin area. The products are not provided with the template package. 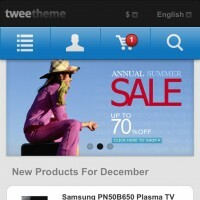 Responsive themes are produced in a specific way which includes special CSS styles for any device resolution, including mobile phones, tablets and desktop computers. Banner HTML code and links to the banner images are located in admin area. You need to use FTP to upload new images to the slideshow banner. 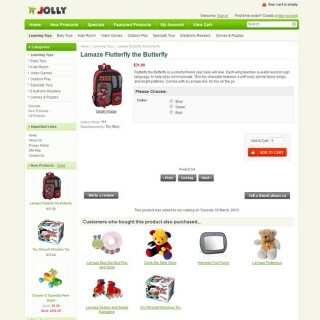 The feature allows you to enable the category menu at the top. The categories appear automatically when you create them in the admin area. The menu appears instead of the "Home, New Products, Specials, etc." links at the top navigation. You can turn it on/off via admin area. Appears if the store has more than one language or currency. Ability to add other static or GIF animated banners to home page. Managed via admin "Banner Manager" section. You are allowed to remove the "Designed by 12leaves.com/pixemus.com" link from the bottom area. 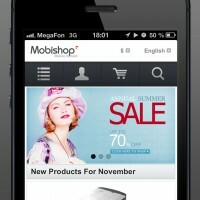 No core files are changed, all default features of the e-commerce software are available for the template. 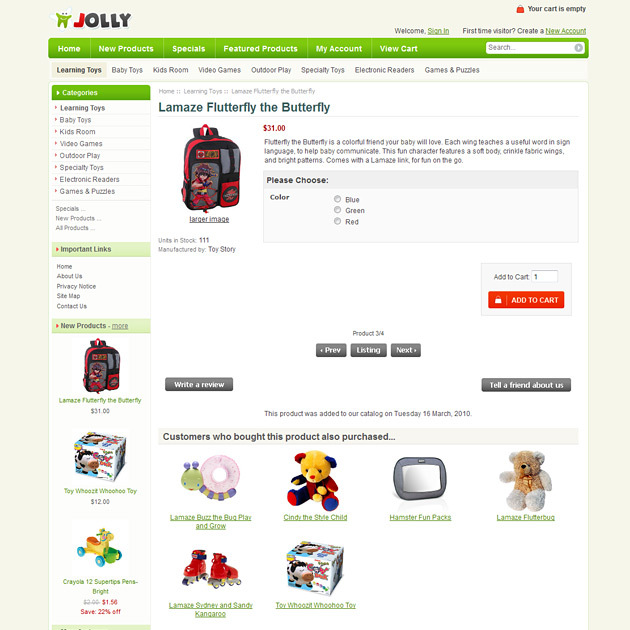 Jolly ZenCart Template Set is a set of 4 template variations with 2 or 3 column layout. Simple and remarkable layout, soft color of background, usability and functionality will give your online store a great inspiration. Use this set as Toys Zen Cart Template, Animals & Pets ZenCart Theme, Food and Gifts Zen Cart skin, Baby Template and etc. If you already run such kind of the webstore it’s never too late to update it with a new design and achieve best results. 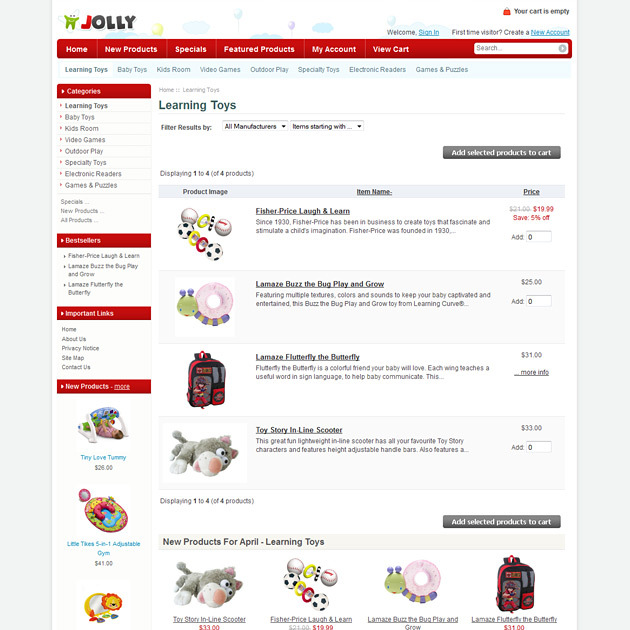 And moreover you have an opportunity to estimate our vision of “how-real-zen-cart-toys-store-must-look-like”.